Looking to learn something new? Or are you a dancer looking for a new class to take? Are you after something flexible you can fit in between your other commitments? Dance classes at The Space could be the answer for you. Classes are on a casual basis, so you can come - and only pay for - the times that are convenient for you as opposed to signing up for a whole term. Just take a look at the timetable, arrive for your chosen class, and get dancing. As a kid I took dance classes growing up and took a break for my final schooling years. A few years down the track, I found that Ballet classes at The Space were a great way to get back into it in a way that fit my constantly changing availability. I'm looking forward to trying out some new styles soon, and hoping to try out the new Open Pointe Class, as it's been too long since I've danced on my toes. Classes offered include Classical Ballet, Jazz, Lyrical, Broadway, Hip Hop, Contemporary, Le Bop, Latin, Belly Dancing, Salsa and Argentine Tango, so there really is something for everybody. Beginner classes cater to those starting out, while experienced and even professional dancers can get their fix in an intermediate or advanced class. The Space also offers a full-time program professional dance course, term classes for kids and studio hire. The staff are friendly and are sure to help you out with any questions you may have. Why? 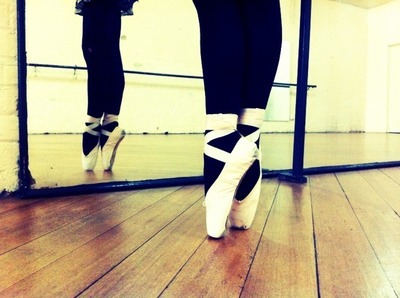 Because life's too short not to dance. When: Classes are on all days (except some public holidays). Check the timetable for your class of choice. Cost: $15 for a class or get a 6 Class Pass ($75). First-timers can get a discounted 6 Class Pass for $55.